Many athletes use a heart rate monitor (HRM strap) during exercise to monitor the intensity of their training. We often assume this is a ‘fit and forget’ accessory, but there seems to be a lack of useful tips for use and care of the strap itself. With particular focus on use with ithlete here we troubleshoot any problems you may be having and look at recommended ways to care for, and prolong the life of your HRM strap. This short video outlines our top tips for getting started with your HRM strap. Below are the key points and some additional tips. For the HRM strap to work, and create a good connection, there must be some moisture between the connector pads on the back and the skin. Normally during exercise sweat creates sufficient moisture, however with your morning ithlete reading you are unlikely to be sweating. Some people use saliva, others wet a tissue and rub the connectors, or you can use ECG gel. Very occasionally we find people whose body shape isn’t compatible with wearing a chest strap conventionally. If you are having real trouble getting consistent/stable data from your HRM strap try turning it around so the electronic module and skin connector pads are on your back. Particularly if used during exercise regular washing is important to keep HRM straps in good working order. We recommend rinsing after each use and washing once a week. Always remember to remove the electronic module before washing! Most HRM straps are now machine washable, we recommend placing in a net/nylon bag – or even a pillow case – and washing at 40°C in with your normal laundry. Or if you prefer you can hand wash the strap using a small amount of mild detergent. To dry lay flat or hang up, preventing the strap drying with creases which can be uncomfortable when you next wear it. Never tumble dry your HRM strap. Most HRM straps have a great battery life, for example the Cardiosport Blue model offers in excess of 700 hours. To prolong the battery life of your HRM strap we strongly recommend removing the electronic module whenever the strap is not in use. 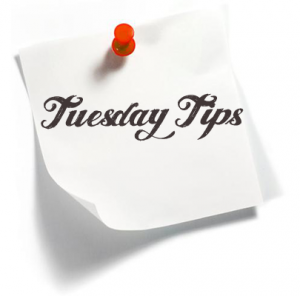 This is particularly good advice if you have moistened the skin connectors or used during exercise as whilst the strap is still damp the circuit is connected and battery being used. When the battery life does come to an end some HRM straps, such as the Cardiosport models, allow the user to change the battery. To change the battery on your HRM strap simply un-pop and turn over the electronic module, use a coin to open the back and swap the battery. Always remove the electronic module when the HRM strap is not in use and avoid bending or rolling too tightly to preserve the conductor pads. Time for a new HRM strap? If you need a new HRM strap – or maybe would just like one specifically for use with ithlete – we recommend the Cardiosport models. Why? Well simply because they are the best we’ve tested, excellent battery life, very comfortable and durable! 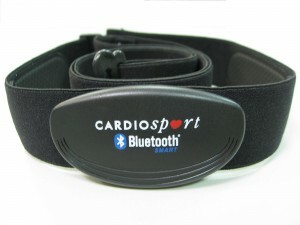 The Cardiosport straps are available in analogue or Bluetooth Smart. We will very shortly be releasing an Android app update allowing customers using compatible mobile devices and operating systems to use the Bluetooth Smart HRM straps too! For anyone who really doesn’t like wearing a HRM strap for their ithlete measurement remember we have the ithlete Finger Sensor available later this year too! I also use a little spray bottle with H20 and sodium chloride in it, no messing with goo from ECG gel. For multiple users, we have to use disinfection cleaner to prevent infection transition, is not it? As with any fitness or medical equipment that comes into contact with multiple bodies, proper disinfection procedures should be followed. Likely that antiseptic wipes would be sufficient in this case. Best regards.